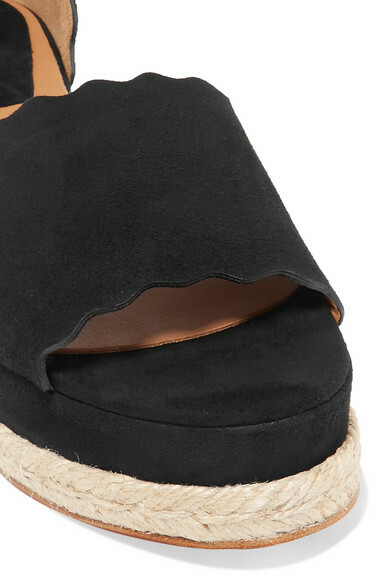 Made from plush black suede, Chloé's 'Lauren' espadrilles are perfect for wearing on vacation. They're detailed with the label's signature scalloped edges and set on a braided jute platform sole. Pair yours with cropped pants or midi skirts to show off the crisscross ankle straps. Shown here with: Three Graces London Dress, Chloé Shoulder bag, Laura Lombardi Earrings.